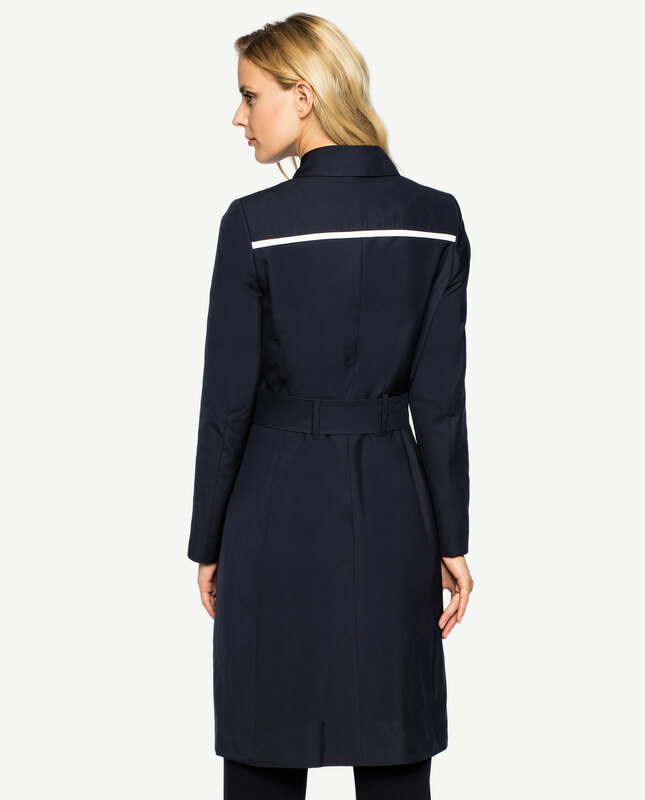 Spring midi trench coat in a navy blue colour, with white hemming. This sailor style is timeless and classic. The lightweight trench as a must-have in any woman’s wardrobe, it flatters just about every body type. Midi cut plays nicely with trousers as well as dresses, and a belt at the waist provides for an hourglass shape. Two pockets at the front. This clasic colour is appropriate for both sports and elegant outfits.